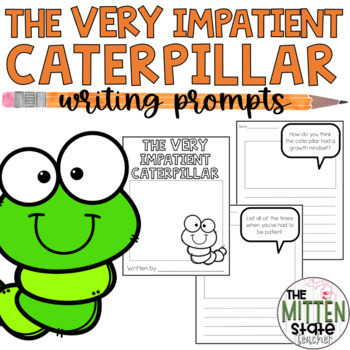 The Very Impatient Caterpillar is the PERFECT book to read to kick off your butterfly unit of study! 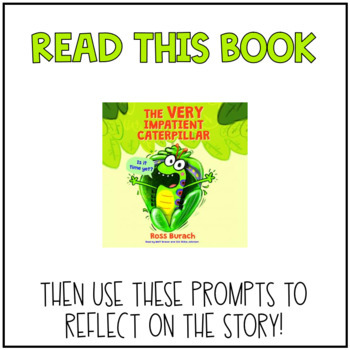 These writing prompts can be used before, during, and after reading this book to engage your students in in writing that is connected to this story! Reflect, engage, and respond with these well thought out writing prompts! Teachers can create an entire book of these prompts, or select which ones they want to use individually! 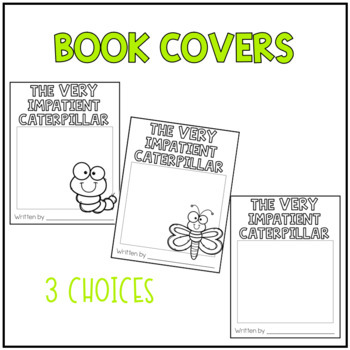 There are 3 cover pages available, and 19 different prompts. 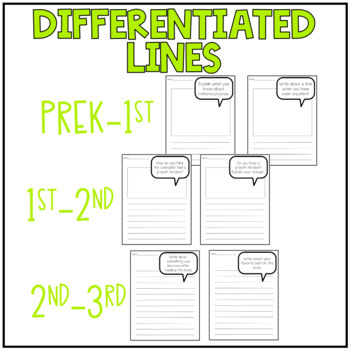 There are also 3 types of paper available...lines for preK, K and 1st, and 2nd and 3rd. Please note: The book is not included in this download, this is simply the writing prompts that connect with the story. ⭐Be the first to find out about new products and sales! Click HERE to follow my store! ⭐Let's connect! Find me on Instagram @TheMittenStateTeacher to see inside my classroom! I love to see my products in action, be sure to tag me! Like this product? Leave me feedback AND earn credits towards free products on teacherspayteachers!